Initially a verbal reservation should be made by the charterer of the date(s) required and the number of passengers. This verbal booking will be held for a period of 14 days only. The verbal reservation should be confirmed in writing (see also Payment and Cancellation). The charterer should telephone the evening before the day of the trip between 6pm and 7pm to confirm that the weather forecast is favourable. 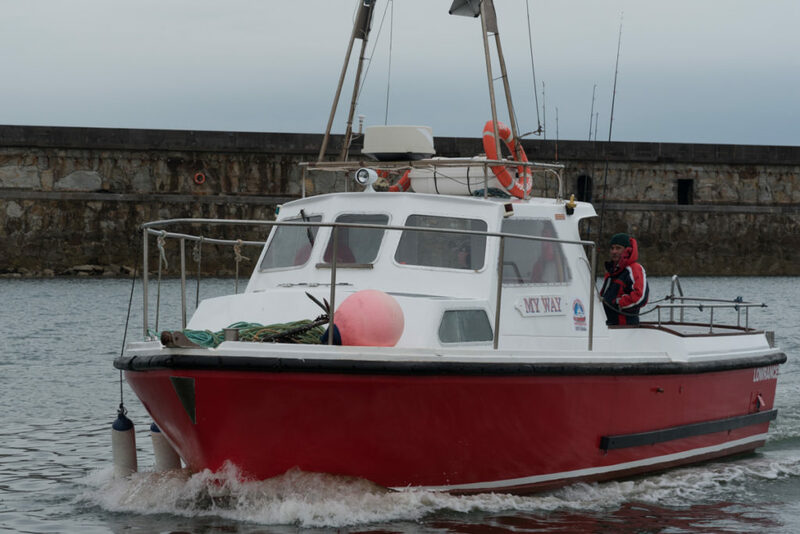 All bookings are made on a general fishing basis – wreck fishing is weather permitting. Deposit – A deposit of £100 for full boat bookings or £20 per person for individuals must accompany the booking, cheques made payable to GO Angling Charter Services. This should be sent within14 days of the verbal booking. Balance – The remaining money is payable on the day of the trip. The deposit will be refunded in full. Should the charterer wish to re-book, and an alternative date can be allocated, the deposit can be carried over. Please note that if cancellation is not notified by the charterer, in writing, at least 28 days before the date of the trip, the deposit is non-refundable. Cancellation of any trip with less than 14 days notice (inclusive of the booked date) will require full payment for the trip. Holyhead marina is a base of holiday and peaceful leisure for the majority of users; all customers are requested to respect the quiet and privacy enjoyed there. All children under 16 must be supervised when on the Marina. No running, wheel vehicles, swimming or fishing allowed on or in the Marina. How many people can My Way carry? My Way is fully Licensed for 10 anglers plus 2 crew. Yes, please check out our Individual specific days. How much does a full charter cost? The price is dependant on the length of time of your trip. Typical prices are 8hrs £280 or 10hrs £310. Yes, supply both tea, coffee & cold drinks free of charge. Additionally we also supply a hot snack and soup. My Way also carries a frying pan and oven, feel free to bring along your own food items for these. Do you supply rods & reels? Yes, rods & reels are supplied free of charge should they be required. All are quality items for your use. Do you supply end tackle? 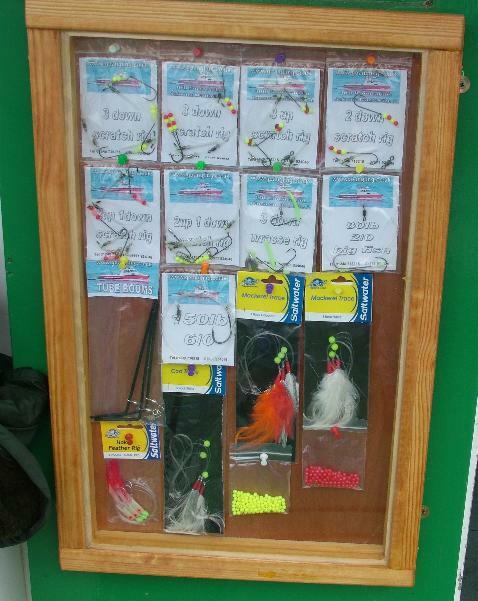 One item of end tackle is supplied with the use of our rods. Any losses must them be paid for. Tackle is also available for purchase aboard My Way. Tackle advice can also be given when booking your trip. Alternatively bait can be obtained for you by prior arrangement (when you book). There is a charge for this as the bait supplied will be of the highest quality and not a sorry mess left over from the previous week. We fish all year around. However certain months are better for particular species. Please call if you have a particular target in mind. Please view our month by month species list to assist you in choosing the dates for your party – species list. Can we keep the fish we catch? Within reason I have no problem with you keeping fish you catch for personal consumption. Please note that we are a recreational boat and the sale of fish caught from My Way is illegal. With conservation and the protection of our sport for future generations in mind we actively encourage the return of the following species that you will catch aboard My Way: – conger, rays, smoothound and tope. No, My Way can set sail from the Marina pontoons at any state of tide. Naturally we sometimes wish to sail at certain times to take into account the states of tides. The majority of our sailings are between 0800 and 1000hrs. However these are not fixed and can be tailored around your requirements. Is there easy access to My Way? Yes, there are no steps or ladders to negotiate. Simply walk down the ramp to the boat and step aboard. Parking is available over looking the Holyhead Marina Complex. Can we bring alcohol aboard?